The Wisconsin Soybean Extension Program goal is to increase the economic and environmental sustainability of Midwest soybean and small grain production. We work to provide Wisconsin growers the latest soybean research, timely crop management recommendations and diagnostics. Through our research, we generate science based solutions to address real world problems in soybean and small grain production. Wisconsin soybean growers, Agricultural practitioners, Certified Crop Advisors, and Midwest County Extension Agents rely on research-based information. We provide continuing education and advanced diagnostic workshop training for clientele through Certified Crop Advisor (CCA) training, Diagnostic Training Clinics, in-field workshops, winter meetings, and timely communications. Wisconsin has 11,000 soybean growers enriching our way of life. Wisconsin ranks 14th in soybean production among U.S. states. Wisconsin soybean farmers grows twice as much food as his or her parents did using less land, energy, water and fewer emissions. In 2017, Wisconsin growers harvested 100.58 million bushels of soybeans (2.3 % of U.S. soybean production) on 2.14 million acres of land with a yield of 47 bushels per acre of soybeans. In 2016 Rock County is the leading producer of all Wisconsin counties growing soybeans. Followed by, Dane, Dodge, Grant and Lafayette counties. Wisconsin is a major exporter of soybeans. Sixty five percent of Wisconsin soybeans are exported with much of that demand being driven by China. Two out of every 3 soybean rows are sent to other countries. Wisconsin is home to family businesses that are major exporters of Wisconsin soybeans. The DeLong Company, based in Clinton, is one example. For more than 100 years, this family owned and operated business has grown to become a major supplier of Wisconsin family farmer grown soybeans serving U.S. and worldwide markets. Wisconsin is the 2nd and 20th largest oat and winter wheat producing state. I grew up outside of a small town in south central Wisconsin where agriculture became a part of my life at a very early age. I worked on small dairy farms, showed dairy cattle at the county and state fairs, and became active in 4-H and the National FFA Organization where I had the opportunity to serve as a Wisconsin State FFA Officer in 2008. These experiences led me to earn my B.S. 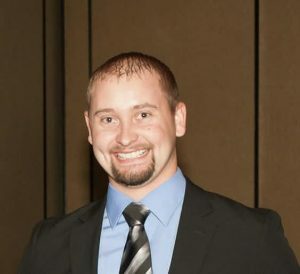 in Agricultural Business with a minor in Crop and Soil Science from the University of Wisconsin-Platteville in 2012, and my M.S. in Agronomy, Weed Science from the University of Wisconsin-Madison in 2015. I recently completed my Ph.D. from the University of Nebraska-Lincoln in Agronomy, Weed Science. I am excited to join the UW-Bean Team as a Postdoctoral Research Associate and assist with applied soybean agronomic research! I grew up in Omro, Wisconsin, where I worked on my grandpa’s 2500 acre cash cropping farm beside my dad. After being active in 4-H and FFA, I decided to pursue schooling to work in agriculture and attended the University of Wisconsin – Stevens Point where I received my B.S. in Soil and Land Management and a GIS Certificate. There, I conducted multiple research studies focusing on chemical, physical, and biological properties of soil on rotational grazing operations. Outside of school, I worked as a crop scout for Tilth Agronomy Group for three years, which is where I picked up my passion for agronomy. 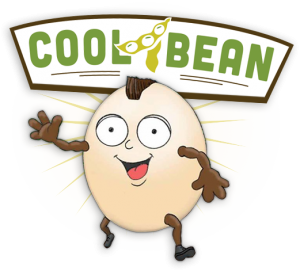 I am excited for the opportunity to continue improving agronomic practices across the state and nation with the Cool Bean team. Lindsay is new to Wisconsin! She grew up on a dairy farm in New York State, and graduated from Cornell University with a degree in Plant Sciences this past May. The UW Bean Team drew her to the Midwest because of their fantastic dedication to extension. She is excited to be in Madison and a part of the team.